At MMI 4u, we take pride in providing hundreds of medical professionals with innovative, reliable and affordable insurance solutions coupled with exceptional customer service. With over 30 years experience, we understand that every business is unique and has a unique set of risks. Using our expert knowledge and experience, we tailor the right insurance cover that meets your needs. Protect how you earn your living, today. 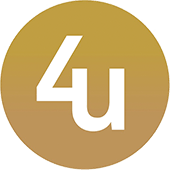 We started the 4U Brand to offer our clients fast, reliable and great value insurance. We promise to do our best to provide you with everything you need to make insurance stress free. Life is busy enough already without having to spend your valuable time, searching for things like insurance. At C I 4 U GB Nationwide Limited we are proud of our heritage and values. The Bond family has represented the insurance industry since 1940 when Leonard John Bond started his career working for Paladin, a Syndicate at Lloyd’s, London. It was Leonard Bond who first introduced the Protected No Claims Bonus in the 1960s and by the early 1970s he was promoted to Senior Underwriter, dealing with some of the top names in British business such as Slumberland, Sainsbury’s and Wedgwood. Leonard Bond’s son, Gregory, worked for a London insurance company (F.A. Spiers & Co Ltd) until 1973 when they opened up a branch in Nottinghamshire to take care of the miners’ insurance needs. The company was also the official brokers for the Newsagents Federation, the Retail Confectionary Association and London Transport. In 1984 Gregory Bond set up his own business, Bond Insurance Services, in Mansfield Nottinghamshire. Bond Insurance Services soon became known locally as a trusted business, offering a reliable personal service and value for money. Mr G Bond retired in 2004, and it is now his son, Simon Bond, who has developed Bond Insurance Services into C I 4 U GB Nationwide Limited, also based in Nottinghamshire. Simon Bond is committed to upholding the family tradition of providing the best possible insurance cover, developing innovative insurance policies and offering clients the most competitive prices. C I 4 U GB Nationwide Limited specialises in all aspects of professional and commercial insurance and provides insurance cover to a diverse range of businesses and professionals throughout the UK. C I 4 U GB Nationwide Limited are now developing specialist web sites –“insurance needs at the click of a button” leading the way in taking a traditional broker into the 21st century by having a formidable presence in the online insurance industry, and continuing to provide a personal bespoke service to its many commercial clients. Salon-insurance4u.co.uk specifically covers the insurance needs of the hair, beauty and complementary therapy industry. To this day, Salon-insurance4u.co.uk upholds its traditional values and provides innovative and reliable insurance products covering liability, commercial, home and motor insurance policies. Airside Insurance 4u specifically covers public liability insurance for work in restricted areas in airports. Different airside activities mean different requirements from airports, we tailor the right insurance cover that meets your needs. Tradesman Insurance 4u provides public liability insurance to over 350 trades throughout the UK. Whether you're a roofer or a scaffolder, electrician or plumber, Tradesman Insurance 4u have got you covered. BIS-Nationwide is our lead site, holding various details for a range of insurance options we offer from all of our sites. BIS-nationwide provide a personal bespoke service to its many commercial clients.